NuncaSola | If we stand together, we are never alone. BronzeWord’s Blog is moving. On Monday, May 18th, BronzeWord Latino Authors opened its doors to Top Ten Days of Crafty Chica, Kathy Cano-Murillo. At the new BronzeWord Latino Authors, you will find the same insights and information on Latino/a authors and their books. Inquire about being highlighted in the Top Ten Days. Latino/a bloggers will be spotlighted each Saturday. Also email me for information about being a host once per month to an author for the first Latino Virtual Book Tour. Coming soon will be the BronzeWord Blog Carnival where you will have at your Clicktip, the top posts from many different Latino/a authors and bloggers. Learn about your favorite authors and enjoy all the news about the best of the best in Latino Literature. Also be sure to join @LatinoBookNews for the latest on Latino/a authors and their books; on contests, awards, and grants. Learn the news as it happens. Brag about your accomplishments and be supported by all. Join and spread the news about Latino/a news. NY TIMES and USA TODAY bestseller Caridad Pineiro was one of the authors featured in the June 2009 issue of New Jersey Monthly. To read the article online, please follow this link: http://njmonthly.com/articles/lifestyle/people/whole-lotta-love.html. Caridad’s next release is SINS OF THE FLESH, her first single title paranormal romantic suspense from Grand Central Publishing. A guest editorial by Raul Ramos y Sanchez, author of the upcoming Grand Central Publishing release AMERICA LIBRE, set a record for visitors at the Orlando Sentinel’s Hispanosphere blog and stirred a torrent of reader comments. Posted on April 27, “Getting beyond the A-word on immigration reform” drew passionate reactions, pro and con. “You’ve set the blog on fire,” wrote blog host Victor Ramos to the GCP author. To read the provocative article and reader reactions, follow the link below. In addition, New York Times best-selling author James Rollins lauded Raul’s work and said: “In such explosive times as ours, it is rare to discover a novel that captures fanaticism in all its extremes and tells a story as thrilling and vibrant as Raul Ramos y Sanchez’s AMERICA LIBRE. Future and history collide in a cautionary tale of a new Civil War on American soil. A must-read for all, no matter where you draw your line in the sand.” AMERICA LIBRE will be released by Grand Central Publishing July 29, 2009. Puerto Rican author Mayra Calvani is the new National Latino Books Examiner for Examiner.com. She’ll be posting reviews, profiles, interviews, news and events to promote the work of Latino authors in all genres. Visit her at http://www.examiner.com/x-6309-Latino-Books-Examiner and consider susbcribing to her posts. If you’re a Hispanic author who’d like to be promoted, contact Mayra at mayra (dot) calvani (at) gmail (dot) com. 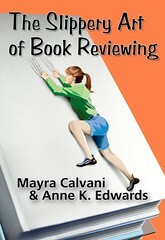 THE SLIPPERY ART OF BOOK REVIEWING, co-authored by Mayra Calvani was nominated for an EPPIE 2009 Award under the Nonfiction Category and is a Foreword Best Book of the Year Finalist. The book was also a National Best Books Awards Finalist last October and is required reading at Loyola College, Kent University and Claremont University. To learn more about the book, please visit www.slipperybookreview.wordpress.com. JoAnn Hernandez’s THE THROWAY PIECE was named as a finalist for the THE ERIC HOFFER AWARD’s Montaigne Medal. ROGELIA’S HOUSE OF MAGIC by Jamie Martinez Wood a young adult novel, has been nominated for the Tomas Rivera Book Award and the International Latino Book Award. Barbara Caridad Ferrer’s ADIÓS TO MY OLD LIFE was chosen to be part of the 2009 Popular Paperbacks for Young Adults List at the Mid Winter ALA. The list is used by librarians throughout the country to promote popular reading amongst teens. 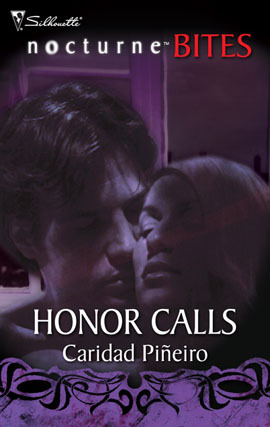 Caridad Pineiro’s HONOR CALLS, a Silhouette Nocturne Bite novella, is now available at http://www.eharlequin.com. HONOR CALLS is Caridad’s 20th release and the 8th book in the popular THE CALLING Vampire novels. Irete Lazo is pleased to announce that actress Elizabeth Peña, who stars in this winter’s “Nothing Like the Holidays,” has signed on to direct the film adaptation of The Accidental Santera. Check back for updates on the project in the coming weeks and months. Please also check out Irete’s Guest Blog on LatinaLista.net on President-elect Obama’s séance comment during his first press conference as well as this interview with Irete at UnderTheMicroscope.com. Mayra Calvani is pleased to announce that The Slippery Art of Book Reviewing, co-authored by Mayra Calvani has been nominated for an EPPIE 2009 Award under the Nonfiction Category. Winners will be announced on March 5th 2009. 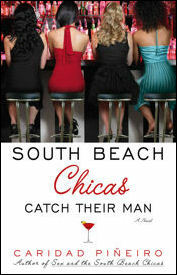 The book was also a National Best Books Awards Finalist last October. To learn more about the book, visit www.slipperybookreview.wordpress.com. In addition, copies of Caridad’s novella DESIRE CALLS from the popular THE CALLING Vampire series were released as free samplers to students at colleges and universities throughout the United States as a promotion for Harlequin’s Nocturne line. To promote the release of her nonfiction work, THE SLIPPERY ART OF BOOK REVIEWING, Puerto Rican author Mayra Calvani will be touring the blogosphere during the month of November. Informative interviews and guest posts on the timely, popular subject of book reviewing. Details on her website: www.MayraCalvani.com. Mayra is also pleased to announce that THE SLIPPERY ART OF BOOK REVIEWING is a National Best Books 2008 Awards Finalist! 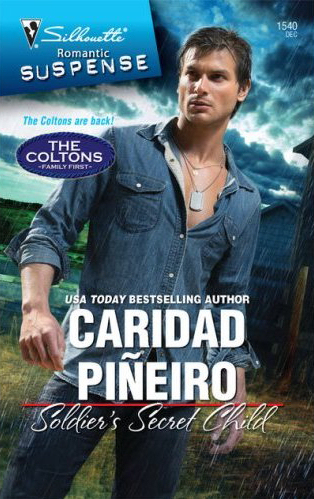 Caridad Pineiro was featured on Romance Novel Television as part of RNTV’s 13 Days of Halloween. Click here to read the interview with Caridad and click here to view the video where she discusses her upcoming releases in THE CALLLING vampire novels series. For more information on Caridad’s novels, please visit www.caridad.com. Please check out these upcoming events from our NuncaSola authors! Caridad Pineiro just received the cover for her December 2008 release, SOLDIER’S SECRET CHILD, from Silhouette Romantic Suspense. To see the video trailer for this novel, please click here. Also, in October, Romance Novel Television will be featuring Caridad in their 13 Days of Halloween event. For more information, visit www.romancenovel.tv. Multi-genre author Mayra Calvani was recently interviewed by Norm Goldman for BookPleasures.com on the subject of book reviewing. Please click here to read the full interview. L.M. Gonzalez is celebrating Hispanic Heritage Month (September 15th through October 15th) by hosting a number of authors who have Hispanics/ Latinos as primary or secondary characters in their books. Please click here to visit her blog and check out the interviews with the authors. L.M. Gonzalez is also pleased to announce that she sold a short story, A LOVE FOR ETERNITY, to The Wild Rose Press for their Vintage line. A LOVE FOR ETERNITY is a time travel story where the heroine goes back to 1955. Rogelia’s House of Magic by Jamie Martinez Wood has been nominated for the Tomas Rivera Mexican American Children’s Book Award. Also check out these upcoming events with our NuncaSola members! Description: At its heart, magic is play – a childlike dance with symbols, intuition and nature. All too often the realm of magical practice has become rigid and serious with implications that you can do something wrong. With the Fool’s enthusiasm and Fae energy, we hold lightly to our desires, allowing the joy of happiness to flow through us. In this way, magic becomes real, not imagined; fun, not work; a joyful expression of the light essence that lives brightly in each one of us. A fantasy conference and tradeshow about all things faerie and fantastical. There is a Good Faeries Ball and a Bad Faeries Ball (which I’ve heard is held at a haunted brothel!). Come spend an evening with these dynamic authors who will talk about their inspirations and paths to publishing, as well as answer your questions! The panel and book signing starts at 7:00 p.m., Monday, October 20 at the Signal Hill Public Library, 1770 E. Hill Street in Signal Hill, CA. For more infomation please call (562) 989-7323 or visit http://www.marycastillo.com. Free hologram bookmarkers by Get Flipped. Margo Candela‘s MORE THAN THIS (Touchstone, 08/08) is the Las Comadres & Friends National Book Club pick for September at Borders Books. MORE THAN THIS is also Bookmarked Breakout Book at Target. Tracy Montoya‘s FINDING HIS CHILD, an April 2007 release from Harlequin Intrigue, is a finalist in the Long Contemporary category of the Georgia Romance Writers MAGGIE Awards. For more information on the MAGGIEs, please click here. Mayra Calvani‘s nonfiction book, THE SLIPPERY ART OF BOOK REVIEWING, is currently being used as textbook for a book reviewing course at Loyola College, Maryland. The book was released by Twilight Times Books (www.twilighttimesbooks.com) in June 2008. PHANTOM’S TOUCH, the second in Julie Leto’s Phantom series for Signet Eclipse, releases on December 2, 2008. The Phantom series includes a popular secondary storyline involving a Latina paranormal researcher, Catalina Reyes, and her treasure-hunting lover, Ben Rousseau. The novel with Ben & Cat’s first appearance, PHANTOM PLEASURES, was released in April, 2008. Come meet Gabriella Hewitt in person and have your copy of DARK WATERS signed.